Preheat oven to Lightly grease baking sheet. 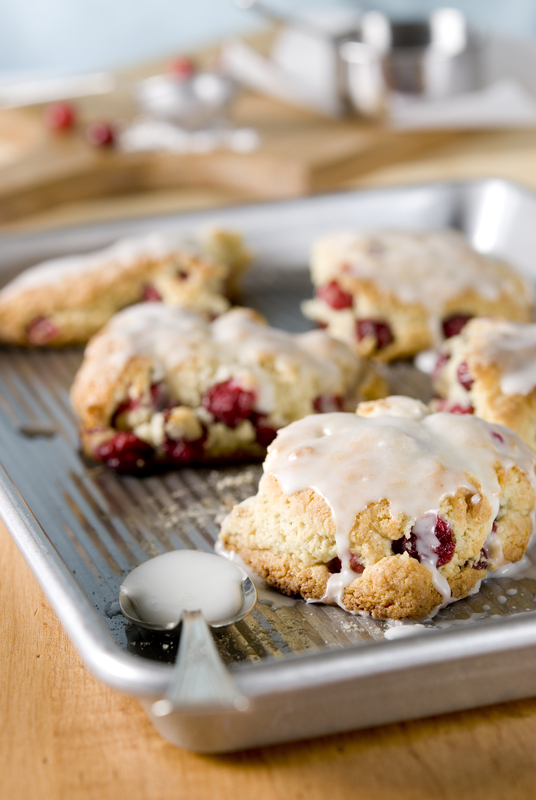 In large bowl, mix flour, oats, sugar, baking powder, salt and cranberries. In a small bowl, beat egg until frothy and stir in melted butter and milk. Pour into the well and mix to create a soft dough. Pat dough into two 1/2 inch thick circles. Score 8 wedges into each circle of dough. Bake 15 mins in preheated oven, until risen and browned. Split wedges and serve. Substitute 1 cup oats and 1 cup oat flour and a smidge more milk for a change.